Do you have missing teeth? If you do, you might sometimes wish that you could have natural teeth again. 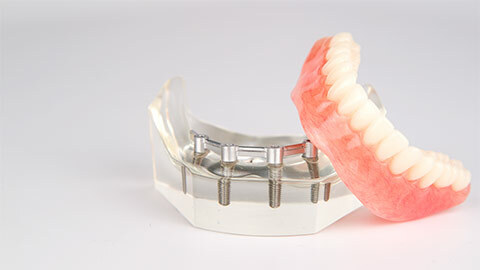 Well, thanks to advances in dental technology, we can offer you the next best thing: dental implants. Dental implants are the gold-standard for permanent tooth replacement. Natural-looking and feeling, implants are growing in popularity as a top alternative for other tooth replacement methods, such as bridges, plates, and dentures. A dental implant consists of an artificial tooth mounted on a titanium metal rod. The entire procedure, from start to finish, takes several appointments, as the dentist begins by surgically implanting the rods in the jawbone. The rod will act as the root of the tooth. Once the gums and jaw have healed, the dentist attaches the artificial tooth by mounting it onto the rod. The end result is an implanted replacement tooth that looks, and acts, like the real thing. Only you and Dr Preeti will know the difference! If you have healthy gums and bones, you might be a candidate for this fantastic permanent tooth replacement option. Dental implants not only restore your appearance and tooth function, but they are so much like natural teeth that they even help keep the rest of your mouth healthy! 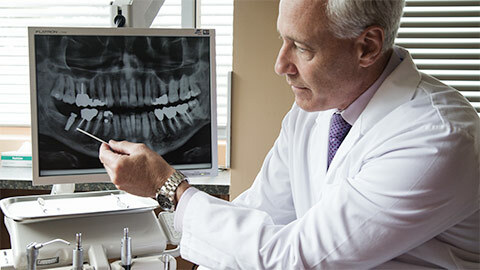 Dental implants are the next best choice to the real thing. If you have missing teeth, call our Drumheller office or ask us about dental implants on your next visit. Your mouth will thank you!